It’s been a couple of weeks since we last had a new Windows 10 Insider Preview build released to the Fast ring, but today the wait is over as new Windows Insider chief Dona Sarkar has pushed the button to roll out Build 14361 for both PC and Mobile. This new release includes new features, some improvements to existing features, and plenty of fixes. The release date for the big Windows 10 Anniversary Update is edging ever nearer, so the quest is on to fix as many problems as possible before then. 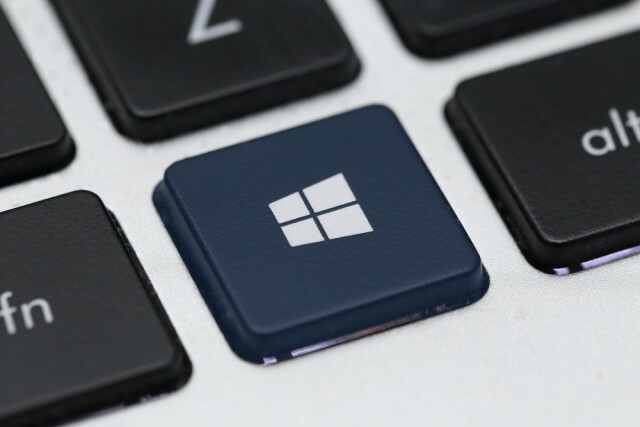 As you might expect, the new additions aren’t that exciting, but they do include a LastPass extension for Microsoft Edge, and Hyper-V Container which will let you use Docker natively on Windows 10. A raft of improvements have been made to Windows Ink, and there have also been improvements made to the Settings app as well, including changes to the colors so it's more obvious whereabouts you are. Jumping to the Settings homepage has been made easier now too. The Blu-ray icon has been updated, which is exciting for those people who a) like icons and b) have a Blu-ray drive. The Network Quick Action icon has been updated as well. Fixed an issue resulting in a strange gray bar frequently being seen on the left side of the Microsoft Edge browser window (for example, after invoking a context menu). The window of active hours for when you are using your PC has been increased from 10 to 12 hours under Settings > Update & security > Windows Update and "Change active hours". Decreased the size of icons used in notifications from 64×64 to 48×48 -- maintaining the visibility, while improving the use of space in the Action Center. Added a keyboard shortcut for opening the taskbar’s clock and calendar flyout -- this shortcut is WIN + Alt + D.
Fixed an issue where Command Prompt wasn’t maximizing correctly on high DPI monitors. We also fixed an issue where Command Prompt wouldn’t refresh the windows properly when doing an upwards Ctrl + F search with a long output of text. Fixed an issue where the taskbar’s volume icon was showing incorrect states for 0 percent and muted. If you have a French Windows 10 Insider Preview build installed on your PC, you will not receive Build 14361. There is an issue with the French translation process in this build that would revert a lot of text that was used to be shown in French back to English. So Microsoft has chosen not to release this build to Insiders whose base build is French. If your base build is not French and you have a French Language Pack installed -- you will still be able to install the new French language pack on top of this build, but this issue will also impact you. Text prediction using the Japanese IME will freeze your PC. To avoid this issue and continue using the Japanese IME, we recommend turning off text prediction. You can do this by right-clicking IME mode icon "A" or "あ" in systray and selecting "Properties", clicking "Advanced", and navigate to the "Predictive Input" tab and check off "Use predictive input system". You can turn on prediction feature again by checking it on. If you click on a file download link, it will open a tab and close it without doing anything in Microsoft Edge. The workaround is to go to the Download pane and start the download there by clicking "Save" or "Save As".